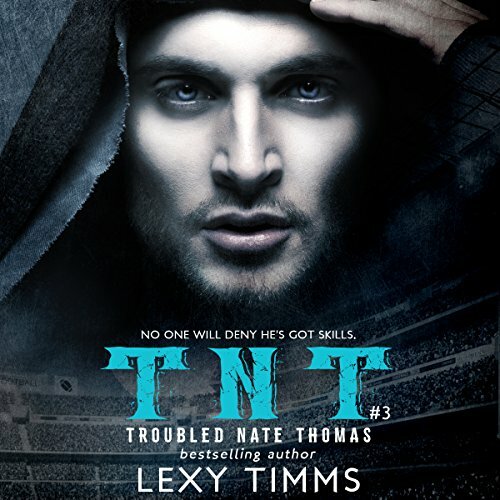 Best-selling romance author Lexy Timms brings you a new sport romance series that'll blow your mind - it's dynamite! Dubbed so by the media because Nate's always getting into trouble. Talented, handsome, and halfway out the door, Nate Thomas is on his last chance with the Denver Broncos. No one will deny he's got skills - on the field and in the bedroom. However, his taste for the party lifestyle, his drinking, and his anger issues are putting his career in jeopardy. Coach Johnson wants his starting quarterback to actually play the way his big-money contract states he can. He needs to find a way to get Nate's head back in the game. Threats, fines, and tickets don't seem to even slow Nate down. Amanda Jones is desperate for a job to help pay for her final year of her master's. She's got a thesis to write and thinks being an au pair is the easiest way to get her work done while making good money. She's stunned when she finds out she'll be taking care the infamous troublemaker, Nate Thomas, aka TNT. The money's too good to say no to, but can she somehow convince this train-wreck of an athlete to get his crap together before they both destroy the one thing they're good at? 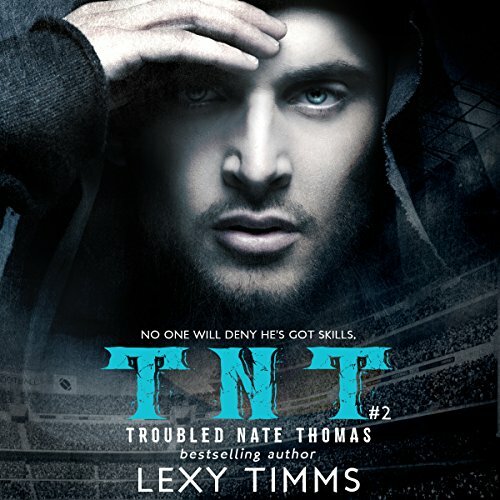 "TNT" - Troubled Nate Thomas. Dubbed so by the media because Nate's always getting into trouble. Talented, handsome, and halfway out the door, Nate Thomas is on his last chance with the Denver Broncos. No one will deny he's got skills - on the field and in the bedroom. However, his taste for the party lifestyle, his drinking, and his anger issues are putting his career in jeopardy. Growing up is hard to do. 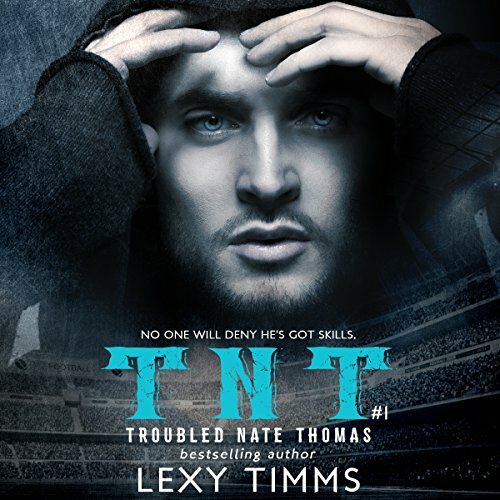 The infamous Troubled Nate Thomas, aka T.N.T., has seen himself the way the world sees him and it isn't pretty. While he's set on reinventing himself, his own teammates are sabotaging him at every turn. After all, where would the Broncos be without their dynamite? It seems the only person who was willing to give him room to be a better person is Amanda, but she's caught up in her own drama as she reassesses her own career goals. You'd think an engagement ring would signal a Happily Ever After, but when you're dealing with dynamite, things are liable to blow up. Nate's been traded to the Jaguars, all the way in Florida. Amanda's now caught between love and duty. Does she stay behind to try to finish her degree, or does she follow the love of her life all the way across the country, leaving her family...and her dreams behind? Tensions flare as each questions just how important they are in the other's life. Will absence make the heart grow fonder?